Our company was formerly known as a small production facility was established in 2002 in Binh Tan District , Ho Chi Minh City with a team of staff is about 10 people , specializing in the manufacture , processing, mechanical items by iron, stainless steel . We were constantly learning , innovation and development . Stemming from the huge demand of the retail market for the product shelves , racks serve the showroom . 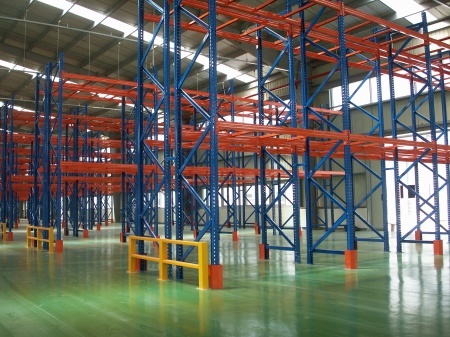 In parallel there is the ongoing development of companies and enterprises in Vietnam , the demand for warehouse racking , industrial shelving served maximize warehouse space , factories, etc ... . In 2007 , our company has invested a factory at Hoang Gia Industrial Zone , Duc Hoa District , Long An Province to serve this market . Beside, we also invested more modern automatic machines as ROBOTS , CNC ... to improve the production and ensure stable product quality , uniform. With over 10 years of experience in the industry , our company has been and will conquer more and more domestic and foreign customers by providing quality products with competitive prices. 249 Plot Hoang Gia Industrial Zone, My Hanh Nam Ward, Duc Hoa,Long An.